Can Reading Fix Our Problems? Why am I asking this question? Over the last couple of days, I have come across political post in the wake of the most recent presidential election that are misinformed, ignorant, and in short just ridiculous. These posts have come from both Republicans and Democrats, and while this post is not in its entirety meant to be political, from what I have witnessed the last couple of days, it is what drew my inspiration for this article. “Read every day, read as much as you can.” This was perhaps some of the greatest advice I received from a strength and conditioning coach. It’s no secret that the best coaches in the strength conditioning industry read more than the next average coach. Reading is what leaders do and it is what all smart people do. If you are okay with being average and being mediocre then don’t read, don’t try to expand your knowledge base, and don’t worry about ever expanding your mind and stepping away from the status quo. I remember my mom telling me when I was in high school, that she didn’t want me to be the typical jock. The athlete who everyone admires on the field and laughs at in the classroom. I didn’t quite understand what she meant when I was eighteen years old, but eleven years later I have a much better grasp on her words. Why do we need to read? Reading is a tool that can open a gate way of possibilities. Do we hear of a close-minded person who reads a lot? Do we ever come across someone who sounds uneducated and ignorant who reads a lot? No, we do not, and while I am sure we can search the internet and find a black sheep in the crowd I think the smartest people in the world make it a habit to read every day. What can reading do? To me the smartest people read to become informed and up to date. “If you can read and you choose not to, you are just as well off as someone who cannot read at all.”-Unknown. When I hear someone say “no I never read anything”, in my mind I am thinking, “so you choose to be stupid?” John Wooden once said, “In 5 years we will all be the same person, the only thing that will change us is the people we meet and the books that we read”. Now that I have answered just a few reasons why we should read, is there a “why” to why someone would choose not to read? Laziness? They don’t enjoy reading, they don’t have time, they don’t see it as an important tool to utilize. Hopefully the people that fall into this category wake up one day and realize they are depriving themselves of reaching their full potential. Set aside 1hr a day to read, if you can’t do this then set aside 30 minutes, if you can’t do that than 15 minutes. Even if you read 15 minutes a day that would equal 1 hour and 45 minutes a week of reading, seven hours of reading a month and eighty-four hours of reading a year. 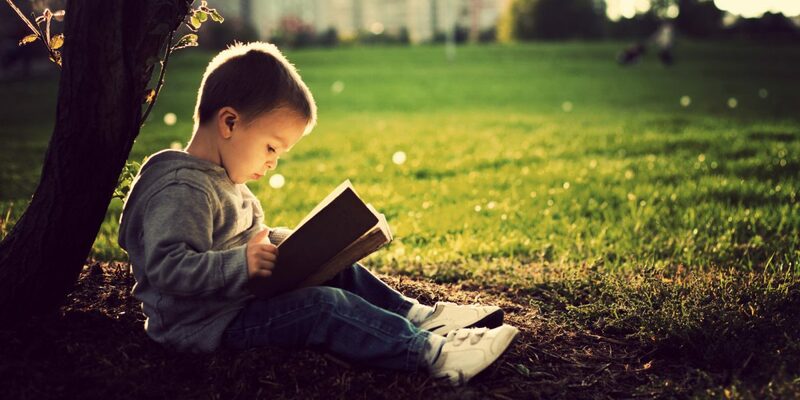 Eighty percent of Americans read less than one book every year. You have now put yourself eighty-four learning hours ahead of eighty percent of the country. It Challenges the way we think: Reading can challenge the way we think, especially if we read subjects that 1.) we know little about, and 2.) we read things that we may disagree with, such as politics, training theories, and scientific theories. Some people are probably reading this right now and thinking, “isn’t challenging the way we think a good thing?” Yes, it is. But how many of us read only what we agree with? How many of us step out of our comfort zone and digest an opinion with an open mind? “Don’t believe everything you read and don’t read only what you believe,” Unknown. If reading can increase our vocabulary, make us smarter, make us more well-rounded, increase critical thinking, and make us more tolerant of different people, different ideas, and different theories then the question must shift to “how can it not help us?” From strength and conditioning to politics to feuds amongst differing groups, the question is always “what can we do to fix the problem.” What if the solution is one of the oldest hobbies that exist? Imagine a world where everyone that could read did so an hour a day. Imagine a world where everyone read things that they may not agree with, or a world where people read on subjects that was new to them, or just read something for fun that may help expand their vocabulary. What kind of world would it be? Would we be more tolerant? Would we be smarter? Would we be more informed and more up to date with the issues that surround us? We live in a world that is always searching for answers with no idea where to look, but perhaps the answers have been right in front of us for too long. Instead of teaching us, those knowledge tools that we call books sit on a shelf and collect dust. Keep something handy to read at all times, In today’s world it is pretty simple with phones, tablets, and computers. “If you’re not learning, you are not living,”- Pat Williams. If you are sitting around killing time and doing nothing you are killing your life. Use what you learn: if you read a book about organizing your day, don’t just read it and go back to the old routine. You now have knowledge you didn’t previously have, use it. Widen your horizons: Read on different subjects. Read things you don’t agree with from an author who has a different opinion then you. Read on things that may or may not seem important to you. Will reading a Harry Potter book make you a better trainer, probably not, but will it force you to think different, yes It will. I think the problems in today’s world stem from not knowing, not being informed, not being understanding of those different then us. People fear differences; they make up some false divide that separates them from the next person. In politics that left and the right have disagreements on how we can come together as a country. What if we just kept it simple? What if we just did what so many of us are taught at a young age to do, read. Read to speak better. Read to become smarter. Read to become more understanding of those different then you. Read to be a more interesting and a more well-rounded person. I cannot make a lot of guarantees in life, but I can guarantee this, dumb, ignorant, and self-centered people do not read, but if they did read they would not be dumb, they would not be ignorant, and they would not be self-centered.